When it comes to skincare, it is one of my favorite topics to discuss and experiment with, because I know its power. Skincare makes or breaks the skin. 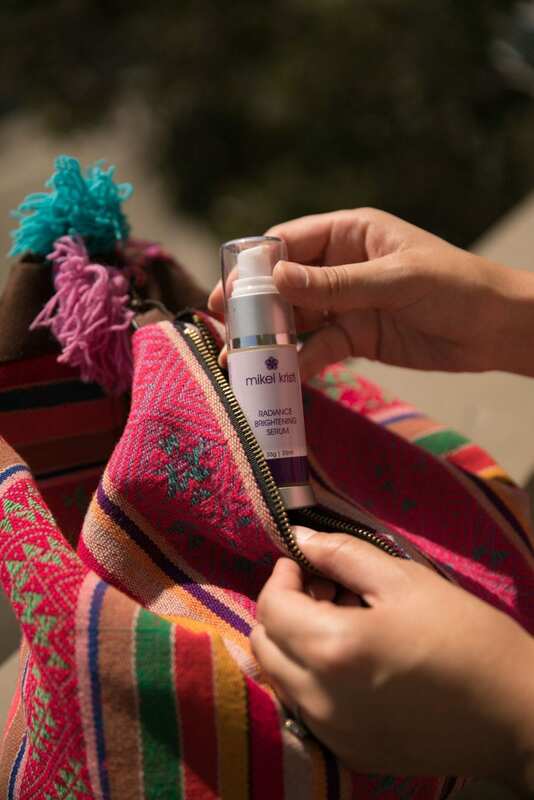 I was introduced to Mikel Kristi approximately 5 months ago, and it was the best decision I made to incorporate the products into my day to day. Not only is a simple 3 step routine easy to do, but adding a few extra products makes a world of difference. Some people may not notice the difference, but you can see the instant difference in your skin after just a few days. The elasticity changes, the brightness, I mean it's night and day. Plus I love that Christy Hall who is the "Kristi" in Mikel Kristi loves to educate everyone to ensure they are aware of the benefits of the skincare line. Education is so important because a lot of people are misinformed about skin, including their own. Not to mention skincare. A lot of people tell me so many myths these days. If you're looking for a beginner's intro to proper skincare, you can invest in the starter's trio. This kit is normally $69, but it's on sale for $40. It includes 3 products which are essential to your everyday skin. The Orange Calendula Lip Balm is one of my all-time favorite lip products because it's just so hydrating. Nothing makes my lips more plump and satisfied than this lip balm. Next we have the Purifying Botanical Wash, which I use every day to cleanse my skin (after using a makeover removing cleanser first). I like to have a double cleanse going because it really helps ensure the skin is completely clean of the makeup, dirt and grime. Finally the Bio Peptide Revitalizing Serum is a key product in cell turnover which helps your skin get rid of old skin and bring in the new. Out with the old, in with the new. 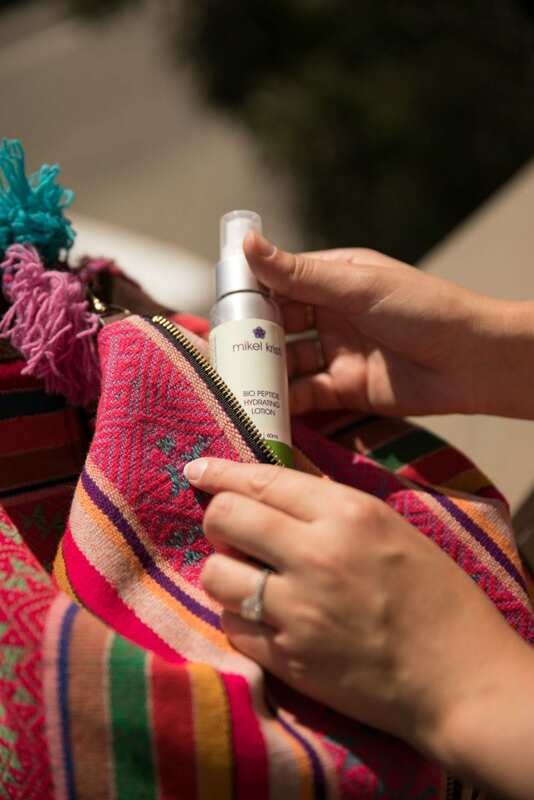 You really need a product every day to help enhance that turnover so this serum is a must. If you're looking for something a bit more complex, I did a full review of my entire skincare routine using Mikel Kristi products. You can find that here. There's a level of skincare for everyone and if you're really just getting into skincare, the three step routine with the cleanser, serum and lip balm is more than enough. Once you get into that routine, it will blossom your love for products so you'll likely expand your usage of new products at some point. This is how I got into my extensive routine which I do most evenings these days. When it comes to skincare ie, products that are going on my face, I really want to make sure the ingredients are good quality and truly good for my skin. There is something to be said for luxurious skincare because it's got great quality ingredients and that's really the key when it comes to any brand. Not every single brand that is quality has to be extremely expensive, but the majority of the time, in order to get the quality ingredients the price of the product has to go up because the quality of the formulation was more costly. When it comes to this line, the products are not outrageously expensive and they are high quality ingredients so you're getting the best of both worlds. You're not going to pay $150 for a serum, but you're going to get that $150 quality for a fraction of the cost. It's a win win. "This is the only skincare brand that balanced my skin." For me, Mikel Kristi is a consistent skincare line that I use every single day. Whether it's all the products or at least 2 of them, I am constantly using the brand. The best part is that this brand can be mixed with other brands. For example, if I want to use an oil from another skincare brand, I totally can. You know I love testing products, as I like to be a human guinea pig, but I can confidently say that sticking to the core of this line has made my skin so much more resilient. Remember how I told you I had a problem with breakouts after working out? Usually my skin broke out horribly after a lot of running, and now? Well, my skin is so balanced so that is not an issue anymore. This line completely changed the game for me. Because Mikel Kristi focuses on cell turnover, it is incredible to see the difference with your skin when you're focusing on exfoliating the dead skin and then bringing to life and beautifying the new skin cells. I've seen a world of difference, not only with my skin, but my overall health with my neck and arms. Sticking to the regime (my key products from Mikel Kristi) has helped give my skin balance. Now I can run 19 miles which is 4 hours of running, and not have an issue with any breakouts after the run. It's given me more freedom and allowed me to not worry about working out and "ruining" my face, because I used breakouts as my excuse of why I couldn't sweat too much. It's amazing how so many years have gone by and how I've tried hundreds of brands, and this is the only skincare brand that balanced my skin. The rest has made it smoother, softer, brighter, so on and so forth, but Mikel Kristi has balanced it to a healthy state so that all those other products can finally seep into my skin and do their job. It's a world of difference, and I genuinely cannot recommend it enough to you. While the brand is local, all the products can be purchased online. What is most important to you about your skincare?